Read an excerpt: "The US News Ranking Effect." On the surface, law schools today are thriving. Enrollments are on the rise, and their resources are often the envy of every other university department. Law professors are among the highest paid and play key roles as public intellectuals, advisers, and government officials. Yet behind the flourishing facade, law schools are failing abjectly. Recent front-page stories have detailed widespread dubious practices, including false reporting of LSAT and GPA scores, misleading placement reports, and the fundamental failure to prepare graduates to enter the profession. Addressing all these problems and more in a ringing critique is renowned legal scholar Brian Z. Tamanaha. Piece by piece, Tamanaha lays out the how and why of the crisis and the likely consequences if the current trend continues. The out-of-pocket cost of obtaining a law degree at many schools now approaches $200,000. The average law school graduate’s debt is around $100,000—the highest it has ever been—while the legal job market is the worst in decades, with the scarce jobs offering starting salaries well below what is needed to handle such a debt load. At the heart of the problem, Tamanaha argues, are the economic demands and competitive pressures on law schools—driven by competition over U.S. News and World Report ranking. When paired with a lack of regulatory oversight, the work environment of professors, the limited information available to prospective students, and loan-based tuition financing, the result is a system that is fundamentally unsustainable. Growing concern with the crisis in legal education has led to high-profile coverage in the Wall Street Journal and the New York Times, and many observers expect it soon will be the focus of congressional scrutiny. Bringing to the table his years of experience from within the legal academy, Tamanaha has provided the perfect resource for assessing what’s wrong with law schools and figuring out how to fix them. TWO: Why Is Law School Three Years? ELEVEN: Is Law School Worth the Cost? "Tamanaha’s book is both thoughtful and damning, made all the more persuasive because he is an experienced and respected academic who builds his argument carefully step by step with an insider’s understanding. It’s definitely worth a careful read—and for defenders of the status quo, a thoughtful response." "I would certainly encourage a prospective law student, especially one not likely to get into one of the very top schools, to read this book." 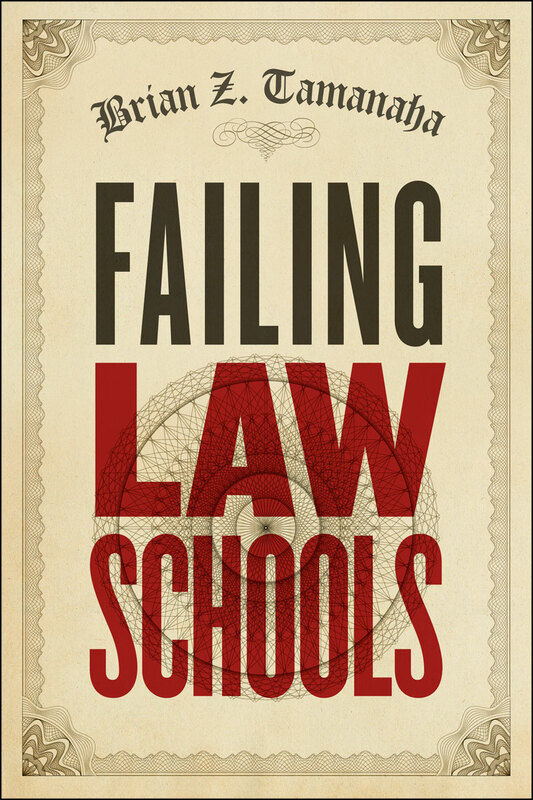 "An essential title for anyone thinking of law school or concerned with America’s dysfunctional legal system."